Has Hyundai finally cracked the hybrid code? 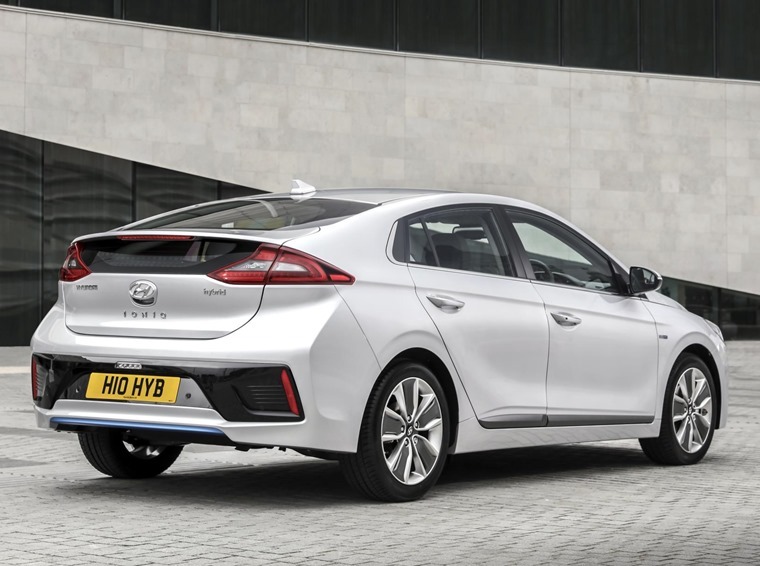 If you’re considering a hybrid as your next vehicle, the Hyundai Ioniq is fast becoming the go-to choice. 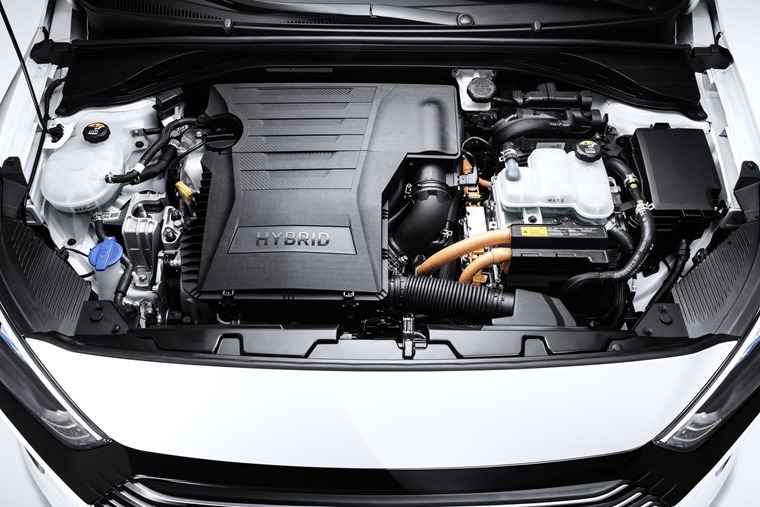 More than half (65%) of leasing enquiries for hybrid vehicles on ContractHireAndLeasing.com are for the Ioniq. It’s four times more popular than its nearest rival the Kia Niro. In fact, we’ve received more enquires on the Ioniq, than for the Niro, Toyota C-HR, Mitsubishi Outlander PHEV and Toyota Prius combined during January and February 2017. First off, we’ll admit it isn’t the most glamorous-looking car in the world. But its rather ordinary design is a good thing. Unlike Toyota’s latest Prius or the Nissan Leaf EV, the Ioniq doesn’t make a point of standing out from the rest of the manufacturer’s range. Normally, if you want to drive around in a hybrid or EV, car makers make sure everyone knows about it thanks to Marmite styling and design quirks. But what about the majority that don’t want to make a song and dance about their eco-credentials? Well, for them, the Ioniq fits the bill perfectly. The Prius might have been the first hybrid on the scene, but the Ioniq is without doubt one of the first that looks like a car most people wouldn’t mind driving. It might seem a little unusual to praise a car’s ability to look “normal”, but in the case of hybrids, it’s ironically very high praise indeed. Electric cars are the future, or are they? To some extent, the normality continues inside. Sit behind the wheel of most hybrids and you’ll be bamboozled with bizarre gearsticks and a myriad of LCD displays telling you what the systems are up to. 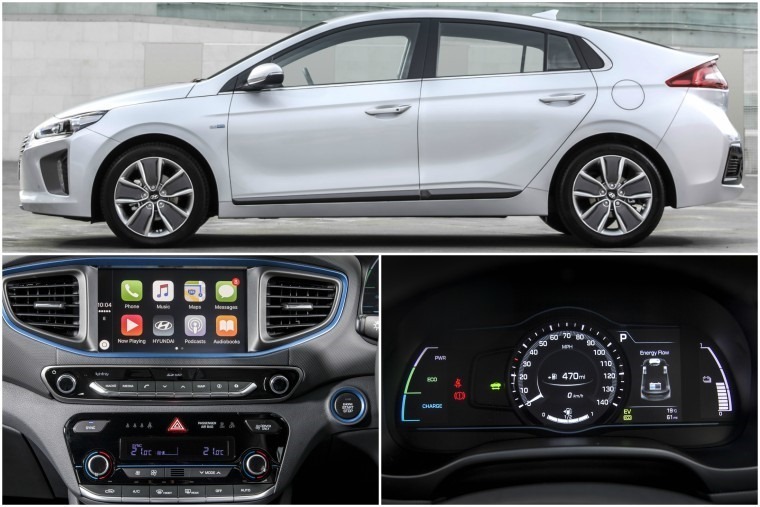 From the Ioniq’s driver’s seat however, things appear customary; everything’s where you’d expect it to be, and unless you track down the Eco driving mode controls, you’ll be hard-pressed to fathom it’s a hybrid at all. 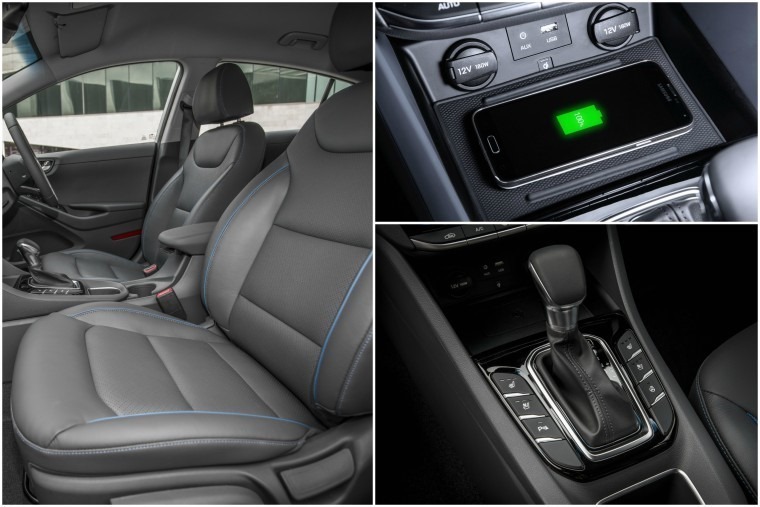 Like all Hyundai’s latest models, build quality is now on par with – or surpasses – the vast majority of Euro-grown rivals, with even entry-level trims featuring accoutrements such as a 7in touchscreen dual-zone climate control and an LCD instrument binnacle. With the exception of the McLaren P1 and Porsche 918, hybrid vehicles aren’t really the keen driver’s first choice. But for a mid-sized family car, the Ioniq is as engaging as it needs to be. If you drive an Ioniq after jumping out of a Prius, you’ll find its automatic gearbox a joy too. This is because unlike most hybrids, the Hyundai’s traditional dual-clutch system is the same setup as any other auto box as opposed to a noisier, less smooth CVT unit. 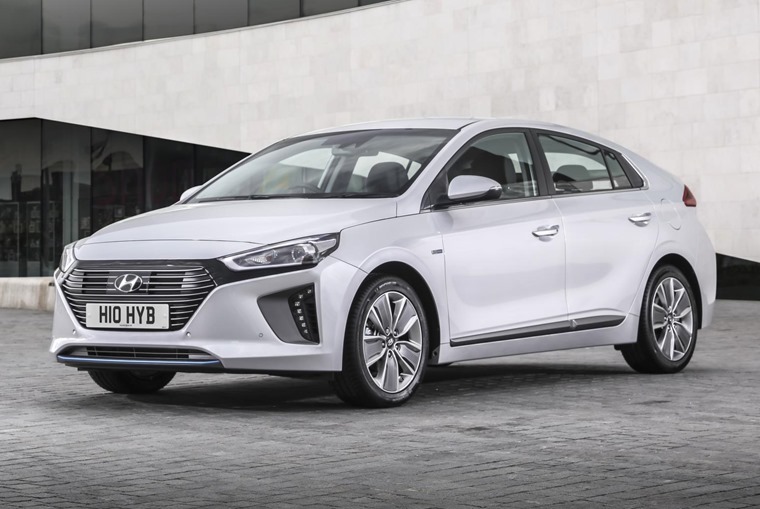 We’re dealing with the 1.6-litre conventional hybrid model in this article, but you can also order your Ioniq as a plug-in hybrid vehicle (PHEV), or fully electric if you so choose. This means it’s one of the only cars to cover all bases. The plug-in extends electric-only range up to 32 miles, making it the perfect choice for city-dwellers. Admittedly, prices get a little steep if you’re after the all-electric model, but that will give you up to 170 miles of range, while taking only 33 minutes at a 50kW charge point to fill the batteries up. Whether it’s a full EV or a mild hybrid, the Achilles heel of most Ultra Low Emission Vehicles (ULEVs) is the cost. Many remain prohibitively expensive considering a diesel-powered car of the same size and class gets a list price price five to ten thousand pounds less. Hyundai appears to have ironed out this problem with the Ioniq too. Ok, all-electric and plug-in variants are a little dearer, but a 1.6 GDi petrol-hybrid model can be yours for less than £150 per month on a personal lease, and it’s this derivative in the SE trim that’s being snapped up in bulk. Not only does that undercut almost every hybrid/plug-in/EV that has been launched to date, but it’s significantly cheaper than many similarly sized petrol and diesel cars too. So, does the Ioniq mark the start of the hybrid revolution? 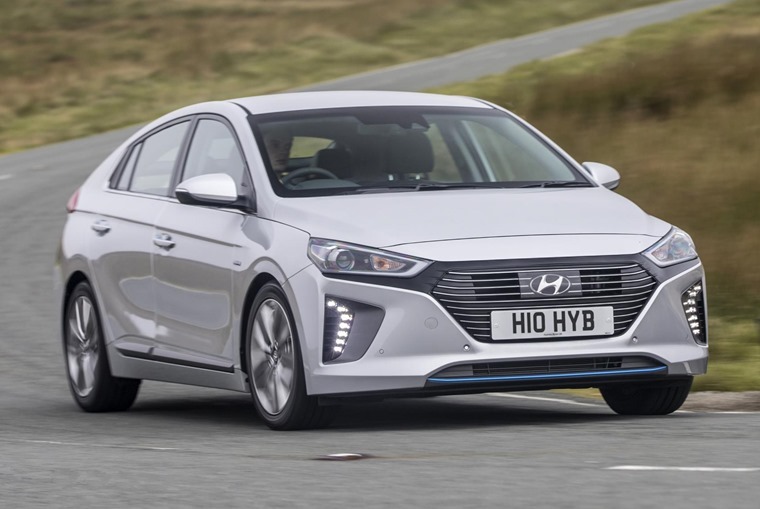 It’s too early to tell, but we can confirm that the Hyundai has discovered how to make a hybrid seem like a “normal” car and, as a result, it should prove a popular car for the manufacturer.